This article is part of a series based on our 2018 State of the Octoverse report—trends and insights into GitHub activity, the open source community, and more from the GitHub Data Science Team. In 2018 alone, we saw more new users than in our first six years combined, and we celebrated hosting over 100 million repositories. 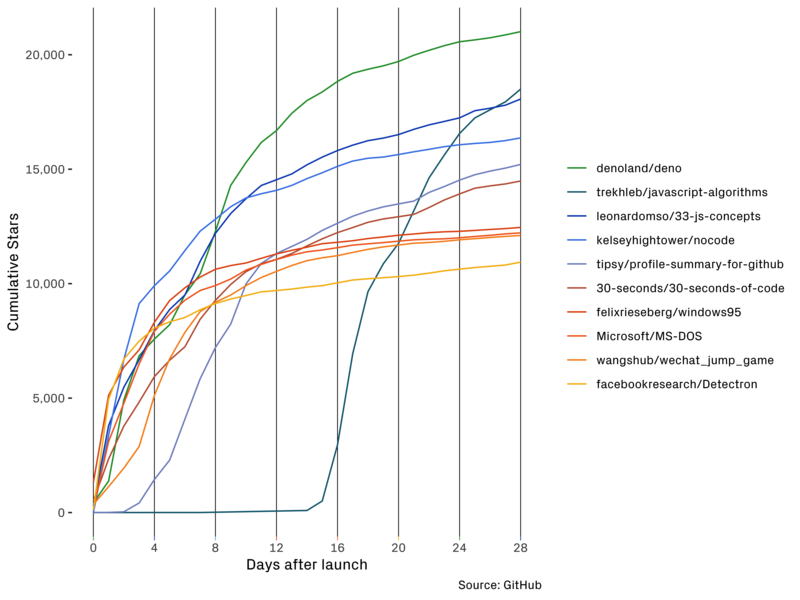 All of this growth is thanks to the open source community. Together, you’ve built and collaborated on a broad spectrum of projects, from hobbies to professional tools and across varying developer experience levels. 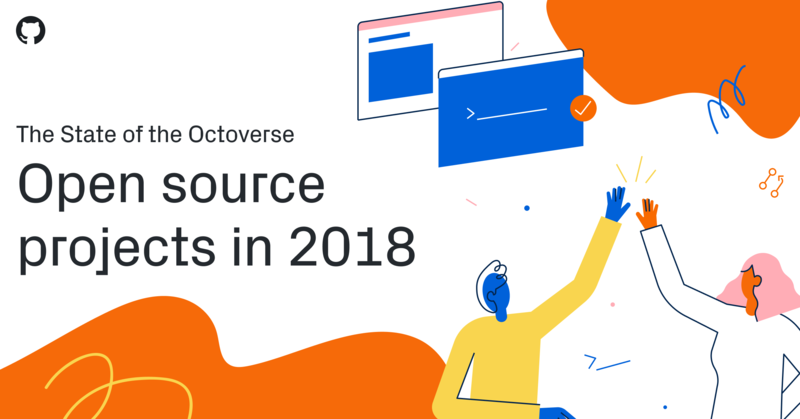 As the year comes to a close, we wanted our final Octoverse report of 2018 to highlight some of your most active new open source projects of the year. To look back at your projects, we pulled data from December 10, 2017 to December 9, 2018. We pulled the top projects open sourced in 2018 by the number of stars the project received in its first 28 days being public and by the number of unique contributors to the project in the first 28 days being public. The top projects open sourced in 2018 run the gamut from learning to code to tools for professionals, from side projects for fun to projects for getting work done. You also contributed to projects for Hacktoberfest, adding Hello World programs in a variety of languages to Hacktoberfest-2018/Hello-world and Omkar-Ajnadkar/Hello-World, or even more complex algorithm examples to VAR-solutions/Algorithms. You also had a lot of fun, starring and contributing to gaming projects like wangshub/wechat_jump_game, and had some laughs with projects like kelseyhightower/nocode. felixrieseberg/windows95 and Microsoft/MS-DOS sparked some nostalgia, quickly attracting your stars and contributions. New open source projects also helped you get work done with tools like denoland/deno for developing in TypeScript, ValveSoftware/Proton for porting games to Linux, and facebookresearch/Detectron to support research in image recognition algorithms. We pulled the top 10 projects open sourced in 2018 based on the total number of stars they accumulated in their first 28 days on GitHub. 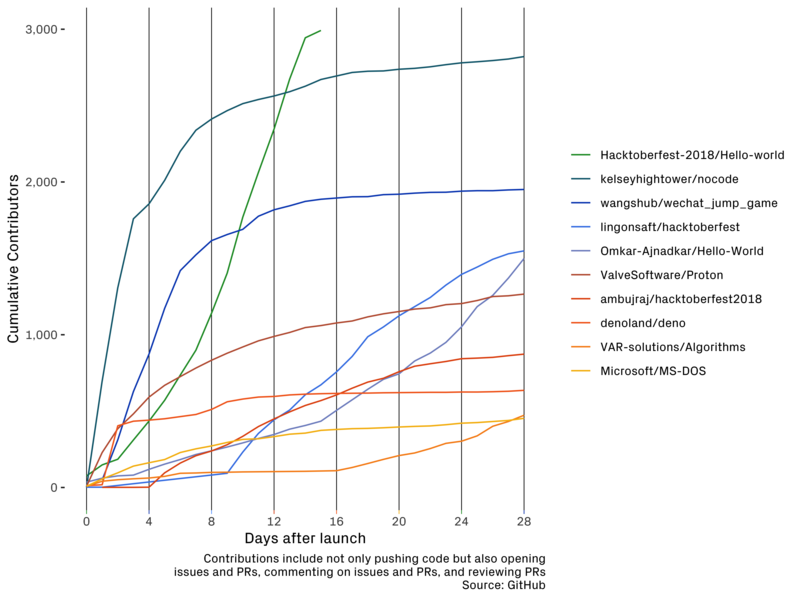 We pulled the top 10 projects open sourced in the 365 days prior to December 10, 2018 based on the total number of contributors to the project in their first 28 days on GitHub. Whether you’re here to do your job or tinker with new technologies, it’s exciting to see an environment where where new developers feel comfortable in code and experienced users have open source communities and projects to innovate. Cheers and congratulations to a year of new ideas emerging, knowledge gained, and continually changing the way we build and think about software development. Stay tuned for more posts that dive in data on the GitHub Blog—or check out our reports on breaks and holidays and programming languages to see what a community of 31 million developers can accomplish in a year. Best open source/free QA plugin for Jira?